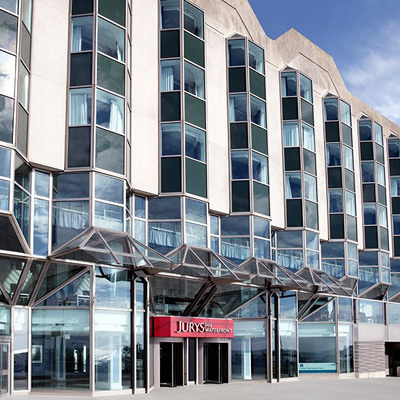 The Jurys Inn Brighton Waterfront occupies the building of the former Thistle hotel, a group that was recently acquired by the Jury’s Inn brand. 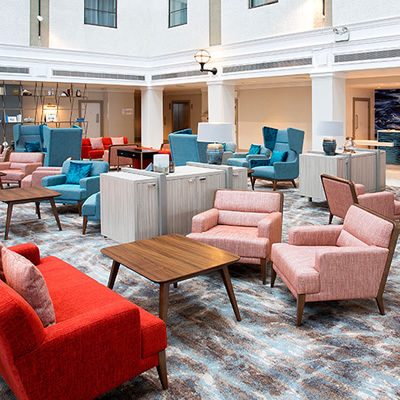 This hotel has recently undergone a complete refurbishment project to the tune of £5.85 million, so we were quite intrigued to visit under the new ownership and see for ourselves what improvements had been made. This hotel offers an enviable location on Brighton’s waterfront, which gives visitors the chance to properly explore all the wonderful eccentricity and beauty that Brighton has to offer. When we arrived we were greeted by the reception staff and checked in efficiently, before being shown on our way to our Deluxe Room. There are 210 Deluxe Rooms in total, which gives you an idea of the scale of this hotel. When we arrived at our room, we were pleased to note the beautiful sea view, which did not disappoint. Our room, although not overly spacious, was clean and sharp in design and everything felt new, which one would expect following an extensive refurbishment. It had everything we could have needed for our weekend getaway including a good sized bed, a flat screen television and tea and coffee making facilities. The en-suite bathroom offered a large walk-in shower and a single wash basin; however there was no bath, which was a slight disappointment. 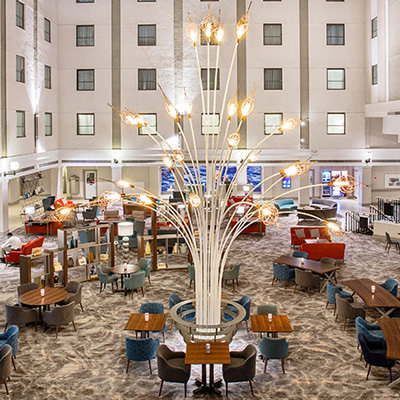 Inside the hotel itself you will find the Atrium Bar and Lounge which is the hotel’s restaurant, serving meals under the natural light of a large glass ceiling. 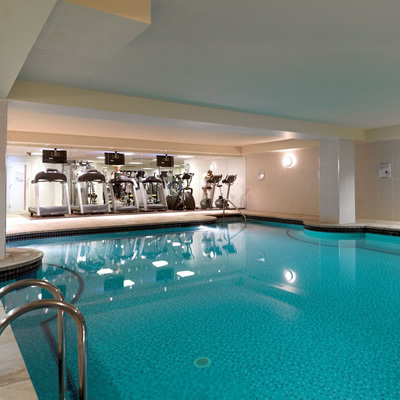 This hotel also offers health and leisure facilities including a well-equipped gym, a swimming pool, a sauna and steam room, and a full menu of beauty treatments should you be looking to pamper yourself. The location of this hotel truly is the selling point, offering all the beauty of the Brighton waterfront along with the practicality of a central location from which to explore. We particularly enjoyed a walk along Brighton Pier and wandering around the renowned Lanes of Brighton with its host of pubs and restaurants within easy reach. Brighton offers an abundance of hotels, and we feel the Jurys Inn is a fine addition to its hotel scene. We would have no hesitation in staying here again and would certainly recommend it to anyone looking for a suitable base within this wonderful seaside town.